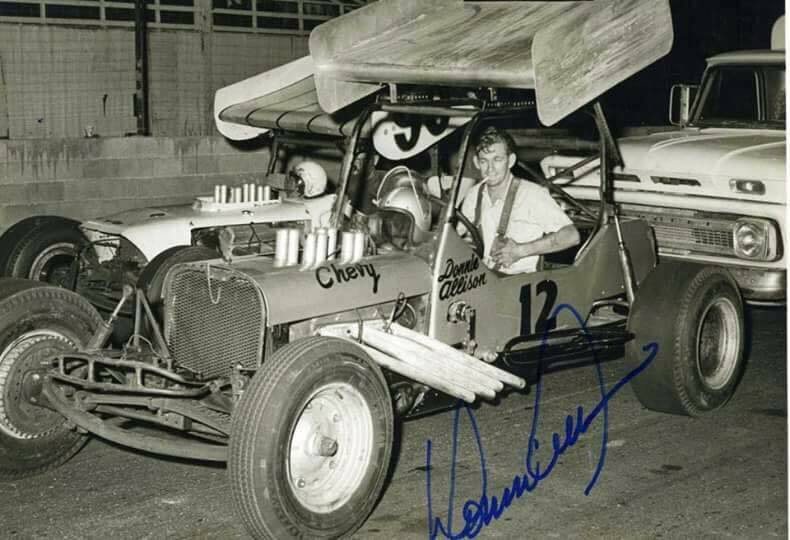 Donnie is in the car, Bobby is on the right. 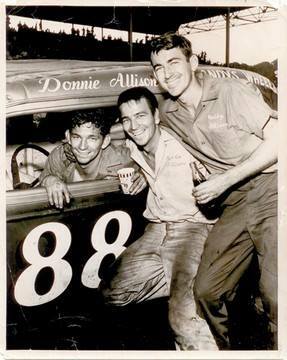 Their brother Eddie, who for many years was a top mechanic, is in the center. 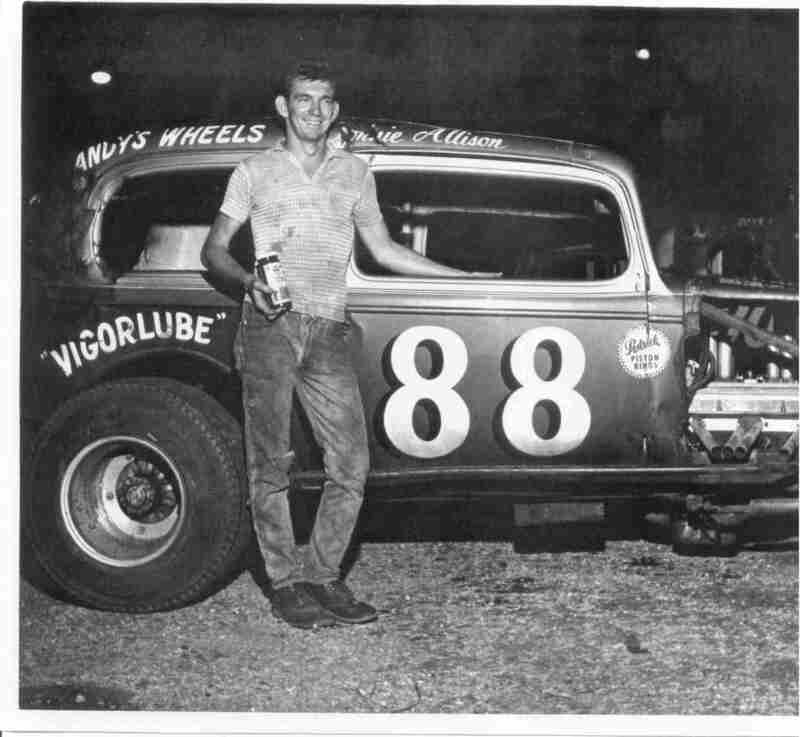 1967 – Martinsville. 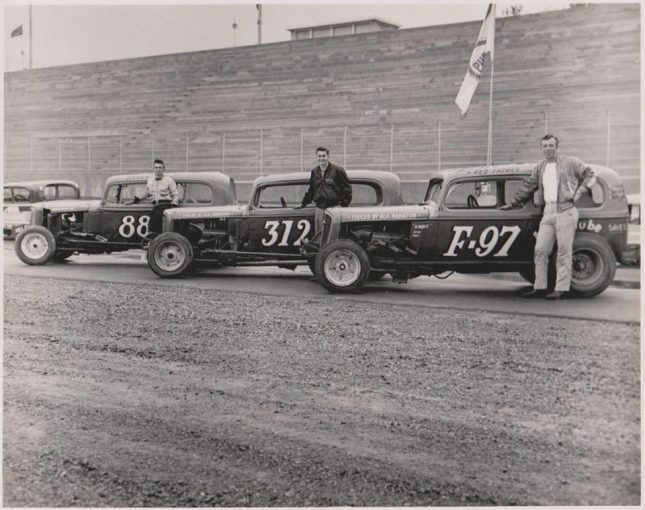 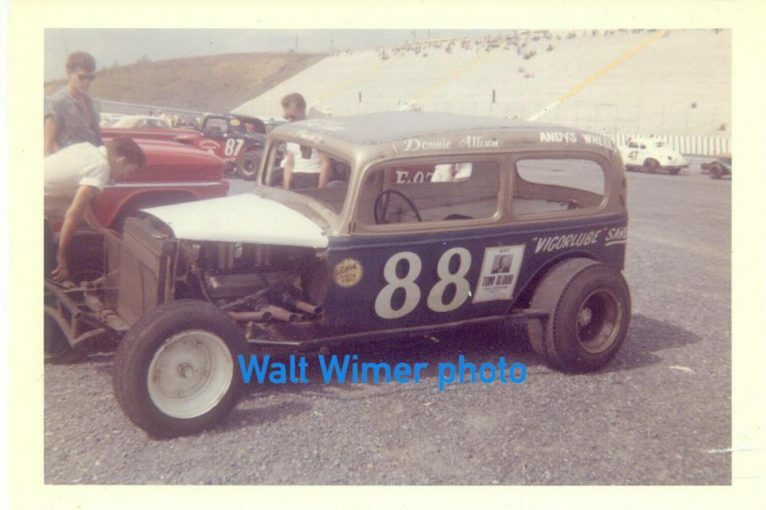 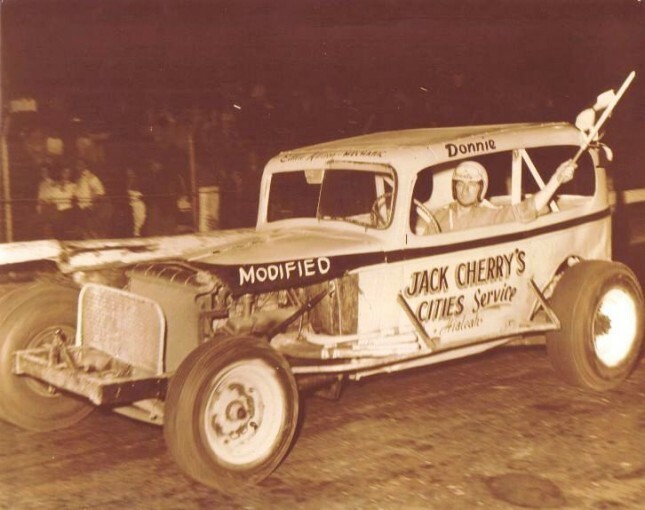 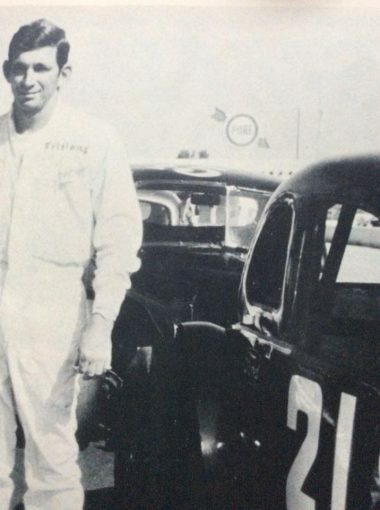 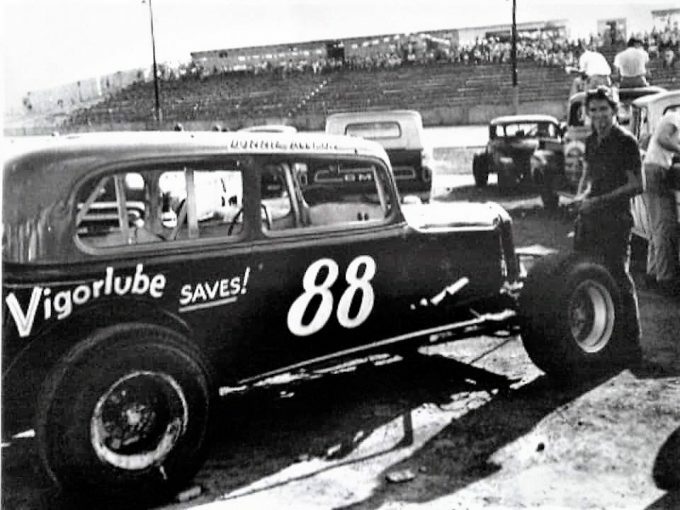 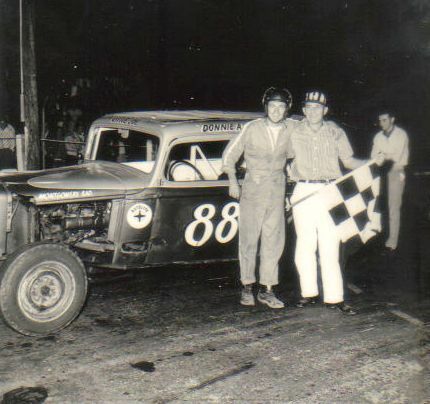 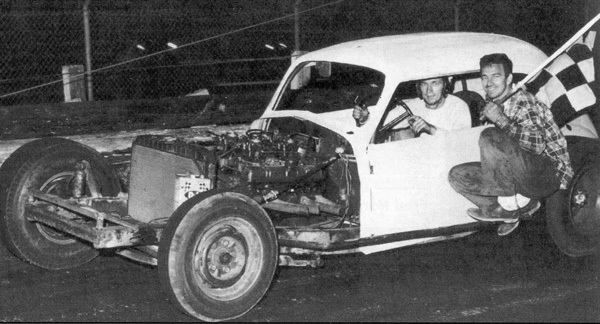 The 2x coupe of Bob Judkins, driven by Ed, took pole with a new track record but was a DNF in the race, which was won by Donnie Allison in the Wood Brothers #21. 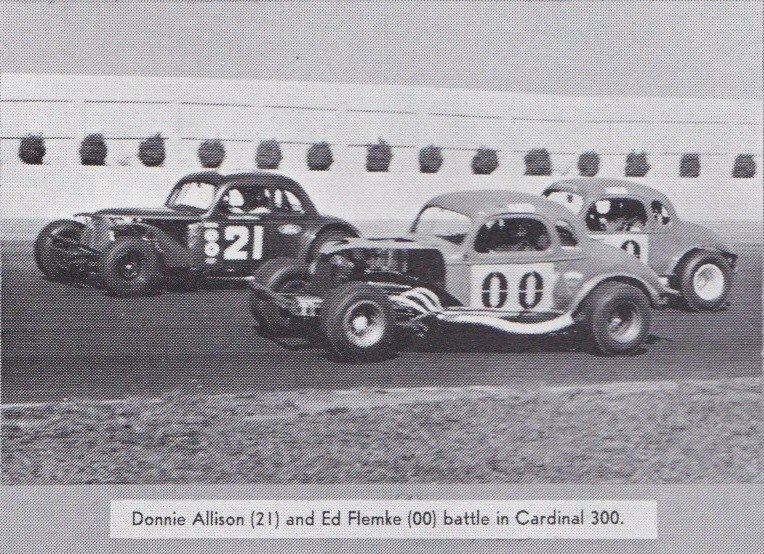 I believe that Don MacTavish is in the third car. 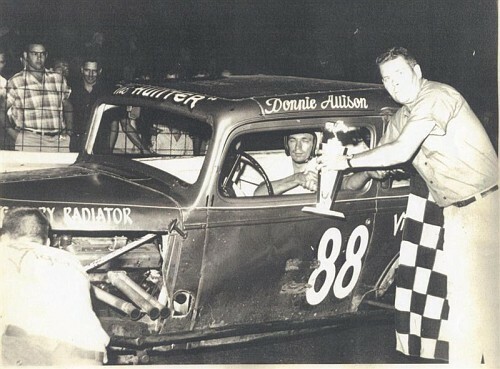 Holding the flag is Eddie Allison, who for years was the chief mechanic on the cars of his brothers Bobby and Eddie. 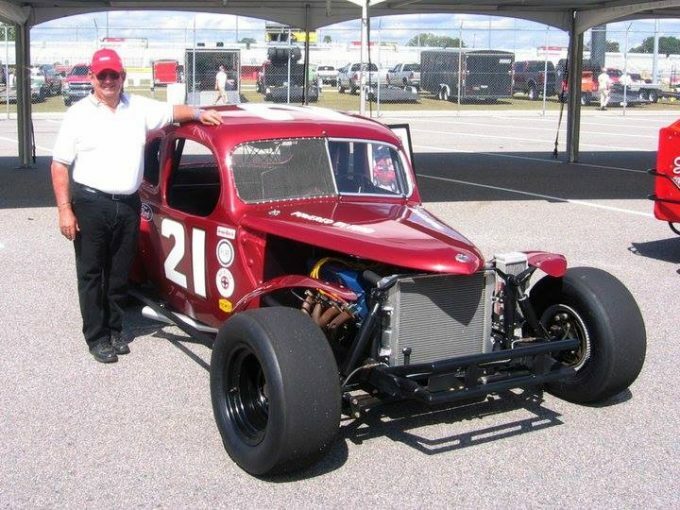 Photo from Coastal181.com. 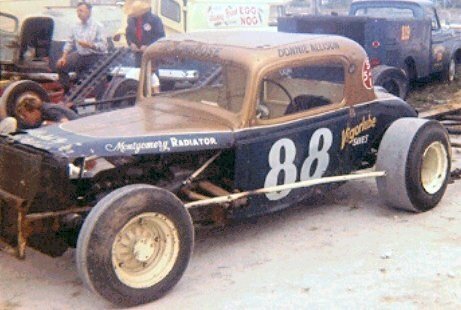 Donnie with the restored car at Darlington in 2009.